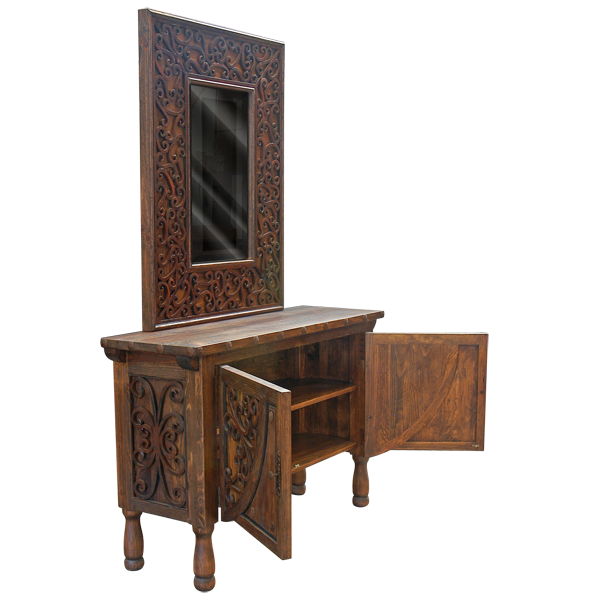 This luxurious, handcrafted, Western style credenza with mirror will be a focal point wherever it is placed in your home. 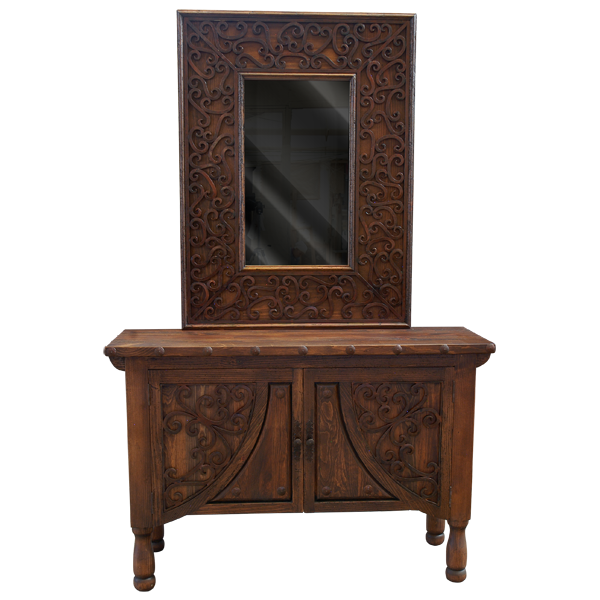 On the top of the credenza rest a gorgeous mirror with a solid wood, hand carved frame. 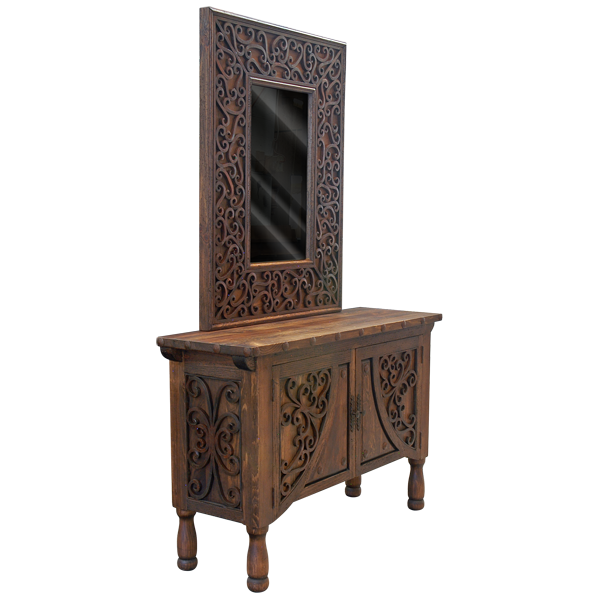 The frame has spectacular, hand carved, floral and scroll designs completely covering the frame. The credenza features two large, rectangular cabinet doors, and the cabinet doors have opulent, hand carved, floral and scroll designs on its front. On the inside of the cabinet doors is a shelf for practical storage. The credenza has a large, open top with a classic, straight top rim, and hand tacked intermittently to the top rim are hand forged, iron nails. Each lateral side of the credenza has a decorative, rectangular cut panel, and each side panel has matching, hand carved, floral and scroll designs. The credenza rest on lovely, hand turned legs, and it is finished with a beautiful, light, antique stain. It is made with the best, sustainable, solid wood available, and it is 100% customizable.